The cooler days of Autumn mean CHOCOLATE! 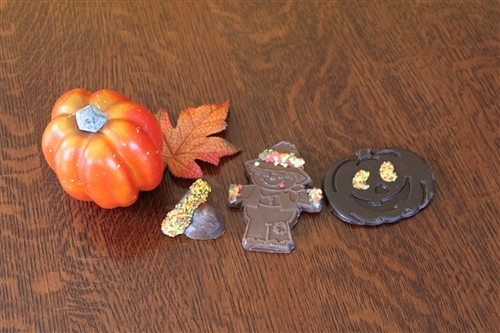 We offer a wide range of cute, delicious and fun chocolate novelties and favorite nuts and confections for all of your Fall celebrations. Whether it's buttery caramel apples, fresh-roasted nuts, or chocolate molded figures of pumpkins, scarecrows, witches and turkeys- UNCLE SAM'S ALL AMERICAN CHOCOLATE FACTORY HAS THEM!